I say that this at the start of all my favourite posts, and I have been doing them since February, but this month has flown by! 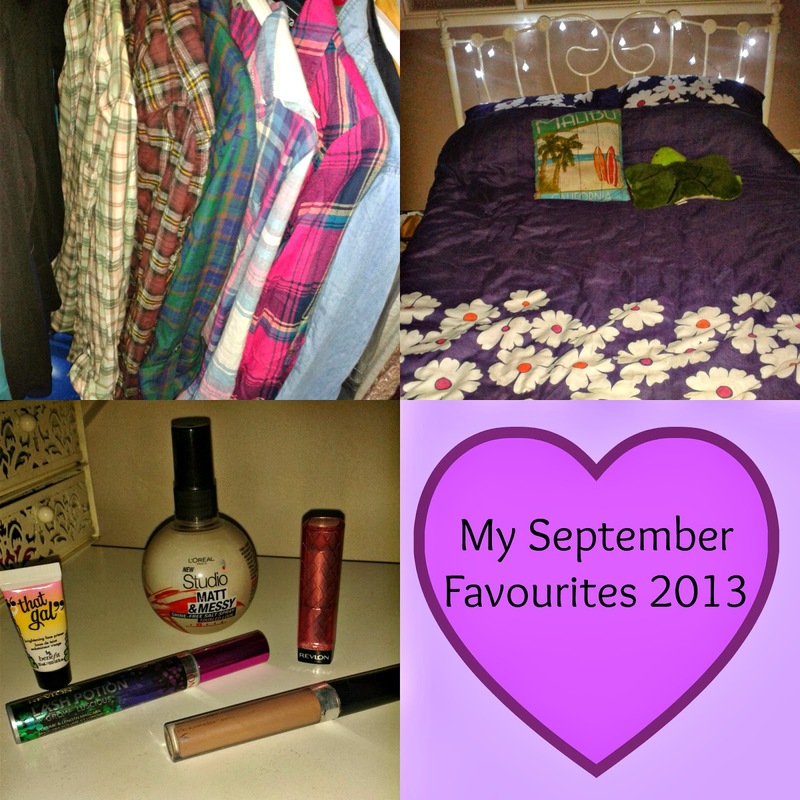 A lot happenes in September, and this year I started College, got a new Job and got my new room sorted! Anyway, on to my favourites! I will start with beauty favs 🙂 I didn’t have that many this month, as I haven’t been very experimental! When I worked at my old job, (it was McWonderful! you can take a guess…) I always wore waterproof mascara because I knew it wouldn’t last otherwise, but as I don’t work there anymore I can wear normal mascara again and this has been my weapon of choice! It’s not really a weapon, but you know what I mean! This is really volumising, and when I wear it a lot of people have said my eyelashes look really thick, which I love! 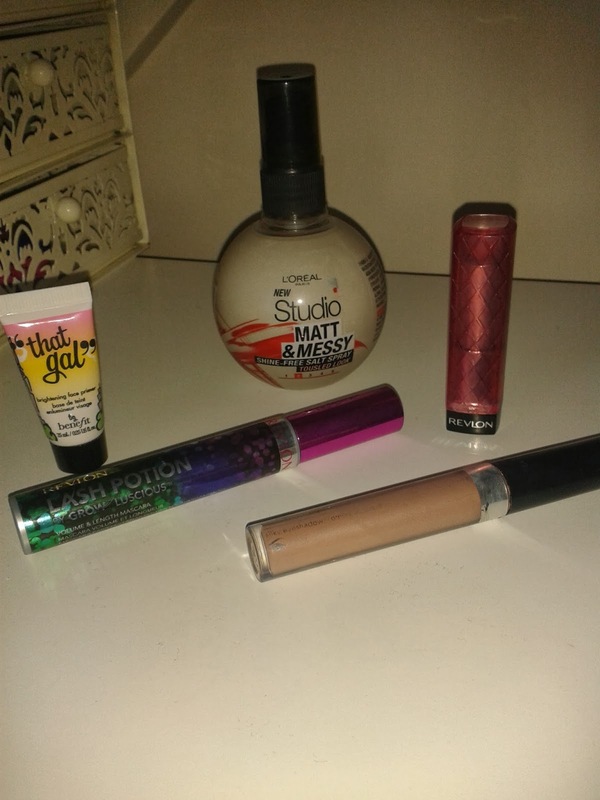 As its autumn now, I like to apply something on my lips rather than lip balm, but most mornings I get quite lazy! However, I have been using this for the last couple of weeks, and been loving it! I’m sure you have all heard about these by now, but if not, click here to see a full review and swatches etc etc! I have been using this when I wear my hair in a pony tail as it makes my hair look messy on purpose, and I hate my hair looking really neat! This smells really nice as well, if any of you want to see a full review of this then just leave a comment and I will 🙂 Its no problemo. 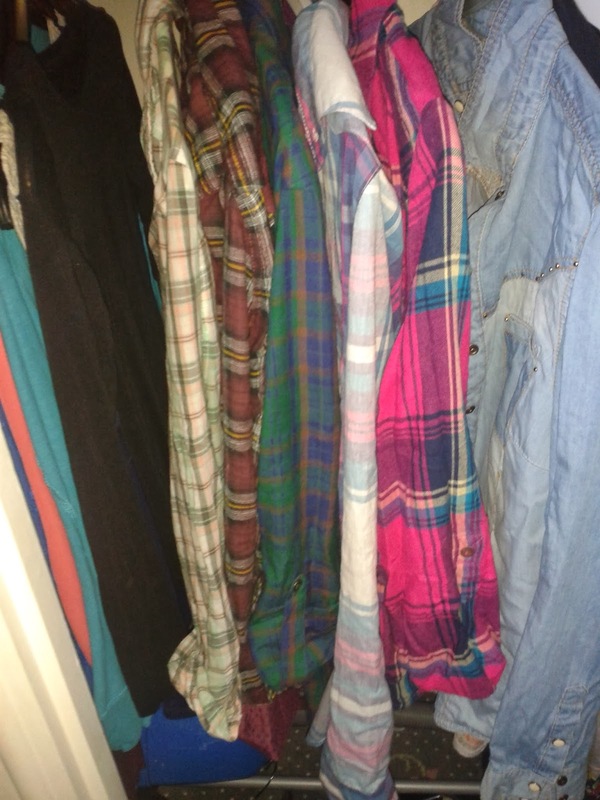 I have a tiny obsession with flannel/checkered shirts! I usually get mine in one size up as I prefer them to be baggy! These are so easy to style, I usually wear them on their own with some leggings and boots, but you can wear them with dresses, graphic t shirts, jeans, basically anything! My favourite is the darker green one because I think it goes well with my hair! Also people compliment me when I wear them so thats always a good sign. You know who you are, and I know you are reading haha! And finally, one more favourite, which has been my Favourite of favourites…what? Yup, I am including my bed in my monthly favourites. I have no regrets. As you know, I moved house recently and I got a bigger room, so I got a bigger bed! 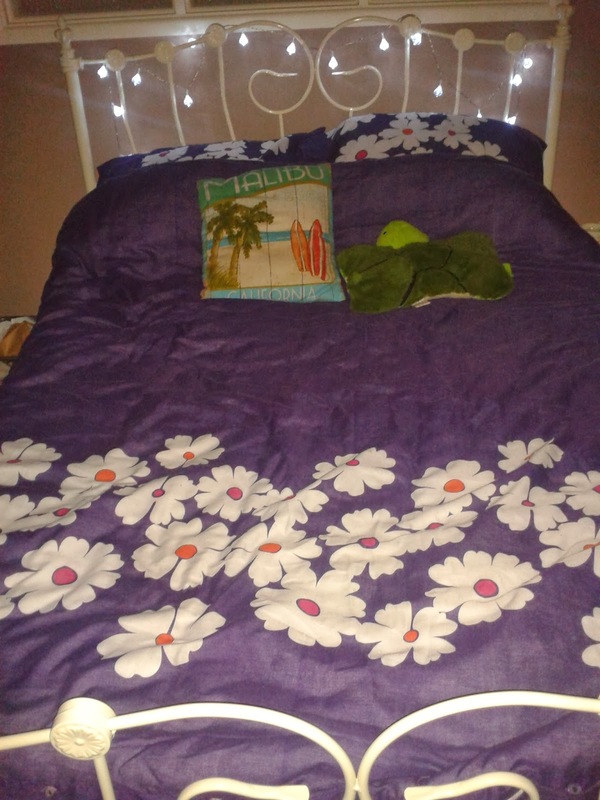 I now have a double bed and I can’t even tell you how comfy it is! I love how girly it looks, and the fairylights are so cute! Ahhh I could spend all day in this. In fact, I DID spend all day in it today… oops.